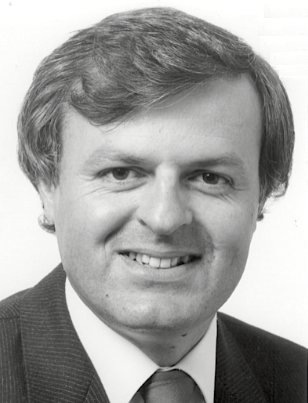 Bob Page worked with TVW Enterprises from 1969 to 1985, during which time he was Traffic Supervisor for TVW 7 in Perth, Station Manager of SAS 10 in Adelaide and General Manager 6IX. 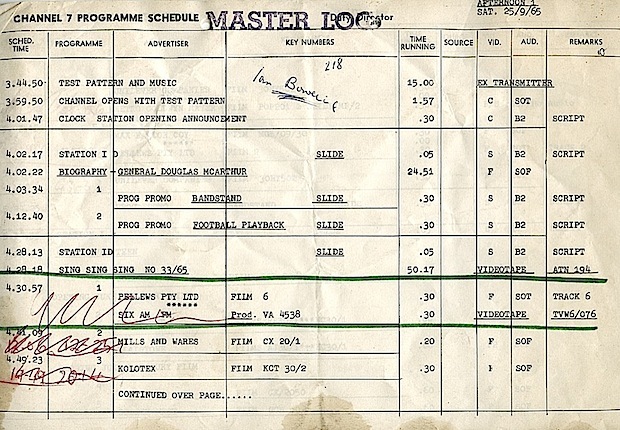 Bob initially had responsibility for the important scheduling aspects of TVW. A department known as Traffic, which handled the dual tasks of turning the Program Department’s TV guide and the commercial bookings placed with the Sales Department, into a coherent schedule of events for the operational and presentation staff to execute. 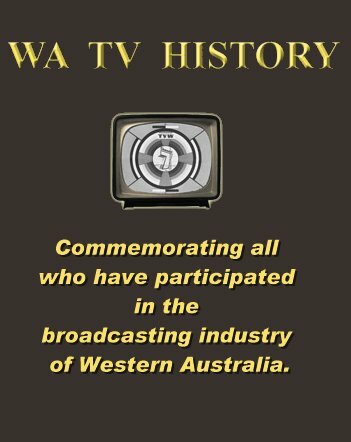 In the early days, the department was simply known as Continuity and everything was documented in a ledger, before being typed, duplicated and circulated to the videotape, telecine, master control, audio control, announce booth and duty presentation supervisor, for presenting as the day’s TV programs. In the late 1960’s, TVW embraced early data processing techniques, where the program and advertising information was entered onto IBM punch cards, and then manually sorted into a deck of cards representing every on-air event taking place in a given day. The cards would then be taken to a sound proof room where an very large and noisy line printer would create the daily schedule as a multi-copy printout, involving the original top copy and a number of carbon copies. These then had to be separated, collated and stapled, before delivery to the various operations personnel. The Accounts Department gained an advantage, as the same punch cards could then be fed into the printer again, with a new task determined by the configuration of wires on a small patch panel. 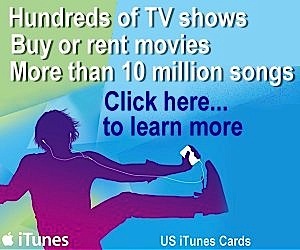 This process then totalled advertising revenue. It was very labour intensive, for something intended to streamline the clerical workload. Bob Page excelled in this area and was soon promoted through the ranks of management. 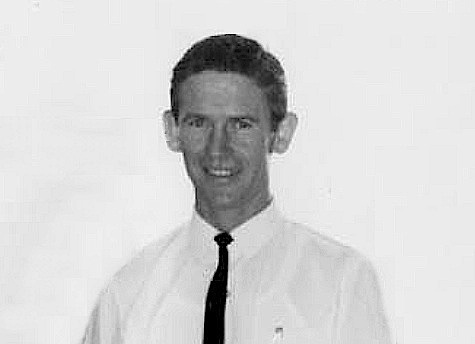 I was interviewed and employed by Ernie Taylor in the late 60’s as a Traffic clerk. I remember applying for the job by telephone and Ernie told me he already had enough applications and it wasn’t until I mentioned that prior to my 2 year National Service stint I had worked at 6PR and had commercial scheduling experience, that he agreed to see me. The Traffic Supervisor at the time was Richard Michel. A year or so after I started Richard left TVW and I took on his role and later became Traffic Manager when Ernie became Operations Manager. During my time in the traffic department (BC-before computers) all of the program logs were printed by quite a large object called an IBM 447 Data Processor. No doubt Don Rock could tell you more about this as he was in charge of the machine. The 447 broke down on a regular basis and it got that way that the IBM technician that was sent to fix it became like a member of the staff. I enjoyed my years in the Traffic Department as there was always a sense of achievement getting the “logs” out, especially at Easter and Christmas times. 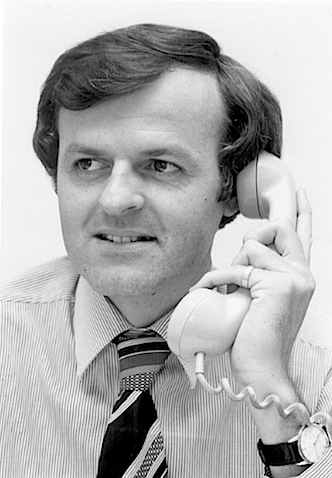 It was also frustrating at times when the Sales reps. (yes you Don Odgers) and the Program Department (Graeme) were late in getting information to you. Film make-up, Jan Vermazen and Edna Vermulan, and the program vault, John Dee in particular would be breathing down our necks for the final log. Many of you would remember that we had a “Gold Sheet” that was typed up at the last minute with all of the late copy or changes to the Program log. It was never called an amendment sheet or a changes sheet. It was a “Gold Sheet” because it was typed on gold coloured paper. 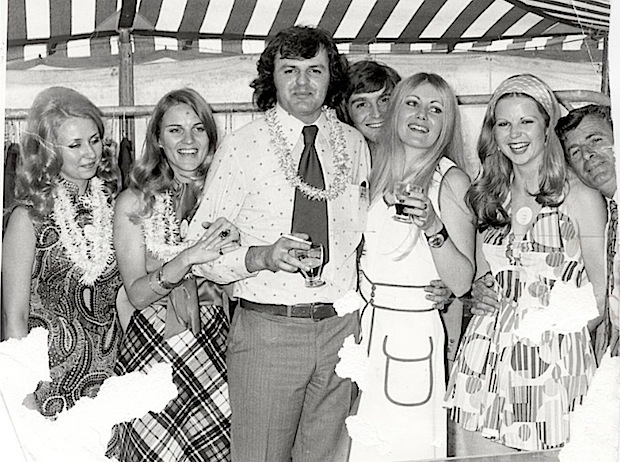 One thing the Traffic staff looked forward to each year was the Sales Department client Christmas party that was held on the TVW grounds under a large marquee. First of all the Sales department would request the best looking female staff members to dress up in their best summer gear and mingle with the clients. The function was always on a Friday so we would rush to get the program logs out quickly so the rest of us could get to the function. During my time we had many good staff members go through the Traffic Department including Ric Burns, Jeff Hill, Ric Nairn, Ian Brunton, Jamie Martinovich, and I’m sure many more that I cannot remember. It was the males that always moved on. Two ladies that come to mind as being stalwarts of the department during their time were Beryl Keaughran and Helen Story. Overall the quality of the staff we had in the Traffic department was first class. Away from the office I socialised (mostly at the pub) with a number of fellow staff members including, Terry Willisee, John McAlpine (Sales) Jeff Hill (Sales), Mal Sutton (Publicity and weekend newsreader) Gary Carvolth and Roger McAuliffe (Publicity), Bob Horley (Sales) and Linda Brownrigg (Traffic) who later became my wife. Former TVW staff members I socialise with today are J Barry Williams, Lionel Yorke, Ron Christie, Howard Read and Linda Brownrigg. Linda and I started a group travel business in 1986 which I still own and is now managed by our daughter. The reason for mentioning this is because two past TVW staff members, Dorothy Buktenica (nee Robins) of Traffic and Jenny Rimmer (switchboard) travel the world as Tour Managers looking after our clients. TVW 1973 photo. The guy with his head poking through is McCartney, I think Bill. He is/was related to the WA Newspapers McCartney. The girl next to his head is Ann Pick. 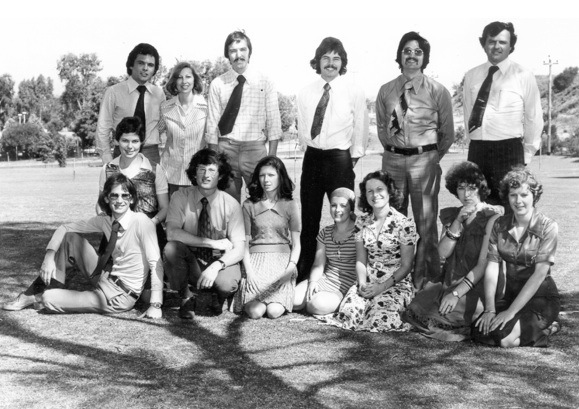 The photo “Mid 70’s was 1975 and was placed in the “time capsule which was opened in 2000. Each department was encouraged to put something in. I think we also put in a copy of the proramme log of the day. The Dorothy Robins in the photo is Dorothy Buktenica who has been for the past decade a Tour Manager with my business. Bob Page – Traffic photo mid 70’s – I have this photo as being taken on 27/10/1976. Back row, third from left, is Neville Kirk. The girl behind Athol Smith is Wendy Philps. Next to Judy Duggan is Lynne Craghill, Jenny Hodgkins, Jan Galliott and Kerry Harnett. I remember my Traffic days with fond memories and look forward to catching up with everyone at the reunion. Jenny Nelson (nee Hodgkins). I am attempting to locate Mal Sutton. He is famous also for making 95 in the Mount Eliza CC (Vic) 62/63 cricket premiership win. We are having a reunion on Feb 21 and would be thrilled if he could join in celebrating that great win with his teammates. Could Mal email me if he receives this?